The failing ANC government in the Makana Local Municipality must shoulder the full responsibility for Day Zero approaching the residents of Makhanda. Today I visited Settlers Dam, the main water supply dam to the western side of Makhanda. The water level of this dam is now standing at 14% of capacity. We also attended a Makana Council meeting during which the ANC removed its own Mayor and elected another failing ANC candidate that can only take the Municipality backwards. The failing ANC government’s chronic financial mismanagement and corruption has serious consequences on the provision of service delivery to Makana. Residents experience water shortages due to the ANC’s failure in government. 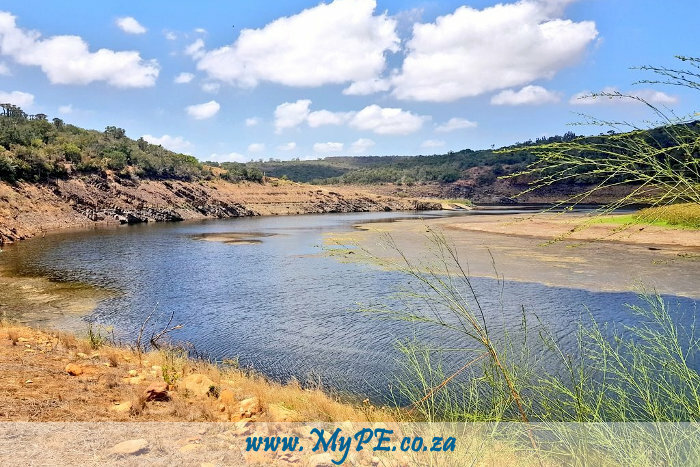 It is estimated that the western side of Makana Municipality will run dry by 15 February 2019 and that the Municipality needs about R200 million to upgrade infrastructure to bring water from the eastern side to supplement this shortfall. If the taps run dry, this will impact on local schools, the hospital, Rhodes University and the Makhanda CBD. If the National Department of Water and Sanitations could avail the required R200 million to upgrade and maintain Makana’s water infrastructure, the water crisis in Makhanda could be sorted out by 2020. But currently residents are restricted to 50 litres of water per person per day. The Makana Municipality has known about this crisis for a long time. The Municipality has done nothing to communicate effectively with the people of Makhanda. Day Zero was avoided in the DA governed City of Cape Town because residents were given adequate information on how to avoid taps running dry. The Department of Water and Sanitation needs to come to Makhanda and provide assistance. The DA will bring the situation in Makhanda under the attention of the national government – the failing ANC needs to fix what they have done. The Auditor General needs to prioritise ensuring that Makana Municipality’s bankruptcy is dealt with and that those held responsible for the continuous mismanagement of funds are held accountable. A DA council will make sure Day Zero is defeated, services are delivered and corruption is rooted out. Makhanda residents must make sure that they go out register to vote on the weekend of 26 and 27 January and that they vote for the DA in the 2019 general election. The failing ANC is incapable of providing our people with good governance and efficient service delivery. The DA is the only party that can bring change that speeds up the delivery of basic services and, in so doing, build One South Africa for All.